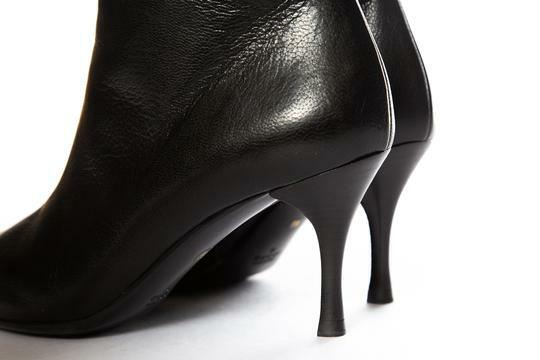 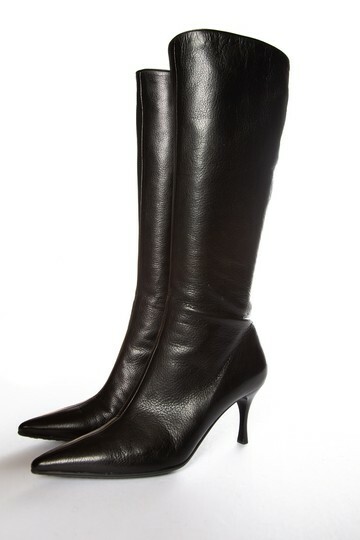 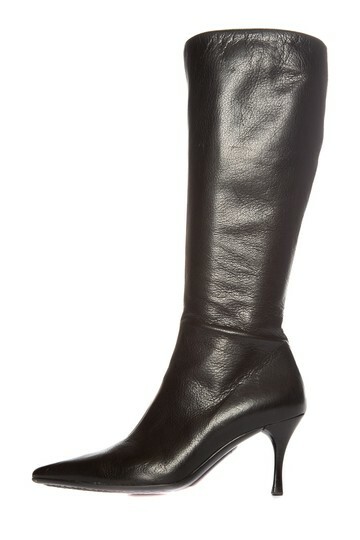 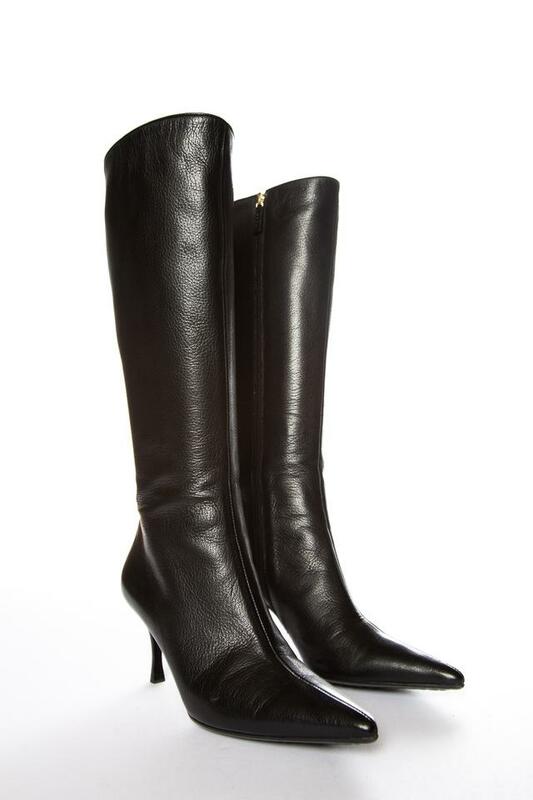 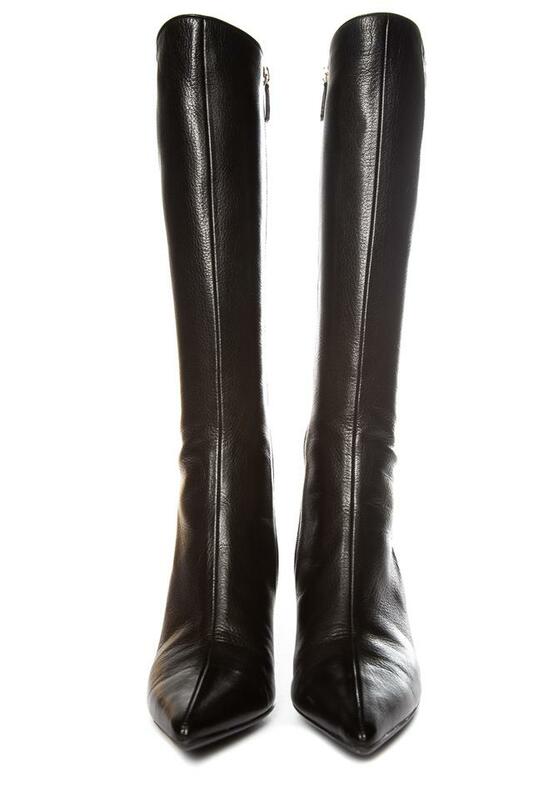 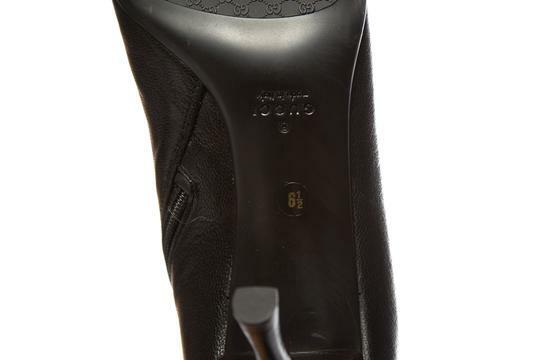 These black Gucci boots feature a pointed toe and come in a classic leather. 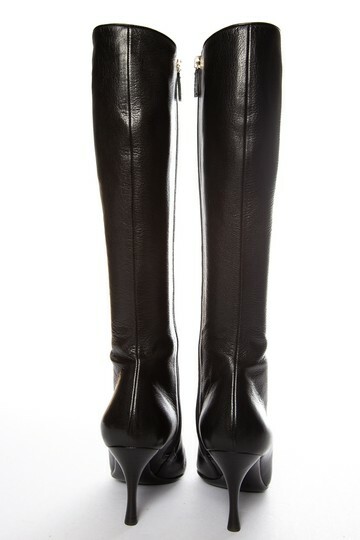 The boots hit below the knee and zip up the side for easy wear. 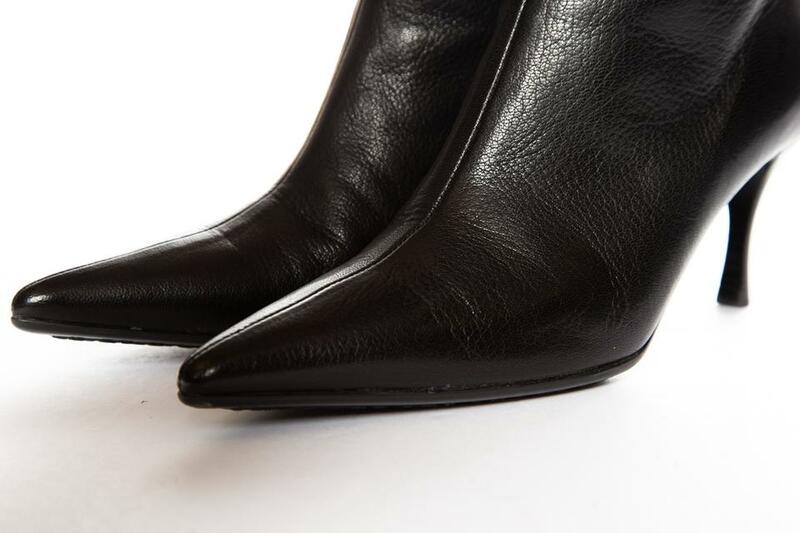 This item is in excellent condition with no signs of wear or imperfections.